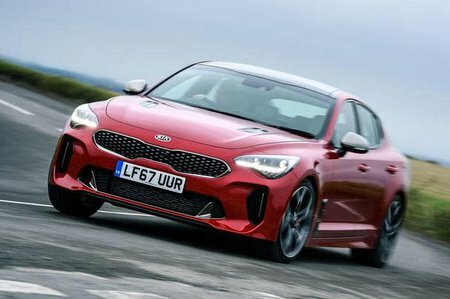 Kia Stinger 3.3 T-GDi GT S 5dr Auto 2019 Review | What Car? This GT S version is our favourite because of its cracking V6 engine alone, but as well as all the GT-Line upgrades it adds adaptive dampers, beefed-up Brembo brakes and nappa leather seat trim. This superb 3.3 petrol V6 is the most exciting engine in the range by a mile, sounding as purposeful as it is smooth and delivering outrageous performance. Claimed 0-60mph takes 4.7sec (we tested it at 4.8sec) and it’ll crack 168mph. With its four-wheel drive, an Audi S5 Sportback is quicker off the line but no faster once you are rolling.